The sporty looks now match a sporty drivetrain with improved handling. 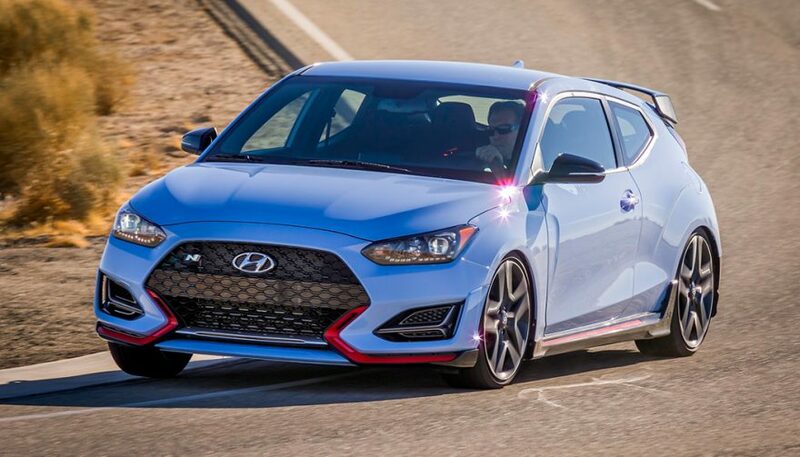 Hyundai has just introduced the 2019 Hyundai Veloster N. It’s the company’s first N performance model for North America, and was introduced at Germany’s famed Nurburgring race track. 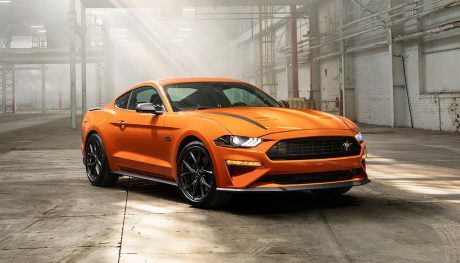 The second-generation Veloster has been praised for filling in the performance envelope that the first-generation promised. The sporty looks now match a sporty drivetrain with improved handling. 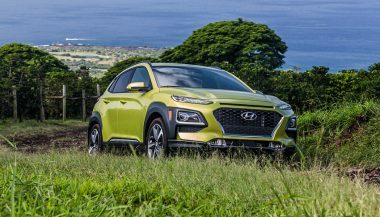 Now, similar to their rivals from Volkswagen, Ford, and Honda, Hyundai is making an even hotter version. One it wants you to see as a true hot hatch: The Hyundai Veloster N.
Under the hood of the Veloster is a 2.0L turbocharged engine. That engine offers up an impressive 275 hp, and 260 lb-ft of torque. That torque curve is flat from 1,450 to 4,700 rpm, which means that the Veloster offers up plenty of shove over nearly the entire rev range. Peak power arrives at 6,000 rpm. 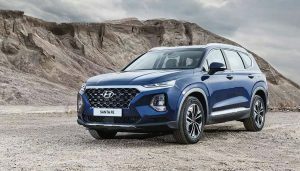 Hyundai says that the engine offers a multi-mode high-flow sports exhaust. You’ll get multiple levels of noise depending on the mode, and your right foot. In N mode, the system will crackle and burble on up-shifts and automatic rev-matched downshifts. There is also a sound generator to increase the engine noise in the cabin. 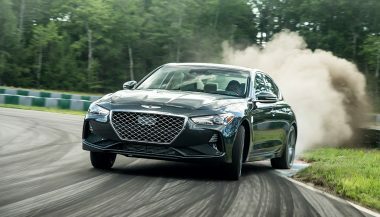 Suspension, engine, and exhaust sounds are all controlled by setting Hyundai’s new evocatively named N Grin Control System. Modes include normal, sport, eco, and performance mode N. An N custom-mode lets the driver pick the specific aspects they want firmed up and which they want soft. Behind that engine is a six-speed manual transmission. Hyundai fit it with a short-shifter that has a double-layer clutch disc to improve torque capacity. The gearbox also has an electronic torque-vectoring limited-slip differential. It puts power to both front wheels in corners and when launching. The Hyundai Veloster N uses a new N Power Sense Axle. It’s set up with geometry to allow for more precise steering, and a quicker response. The rack is secured in three locations for more rigidity when you’re hustling it through corners. The electronically controlled suspension limits dive when braking, enhances roll control in cornering, and reduces compression under acceleration. To show passers-by that you’re driving a fast one, the Hyundai Veloster N has a special N front Fascia and grille with air ducts for the brakes. It also has LED headlights. The N-design side sills are more prominent, and its available 19-inch wheels stand out. The standard 18 and optional 19-inch wheels wear summer performance tires. At the back, there’s a large rear spoiler, integrated diffuser, and LED taillights. Inside, the N has N-design cloth sport seats with big bolsters to hold the driver in place. It gets a special steering wheel and shift knob. An N-specific instrument cluster adds blue accents and a shift indicator. The former looks cool, and the latter can help improve driver performance. For the U.S., the N will come in four exterior colors including an N-exclusive performance blue. 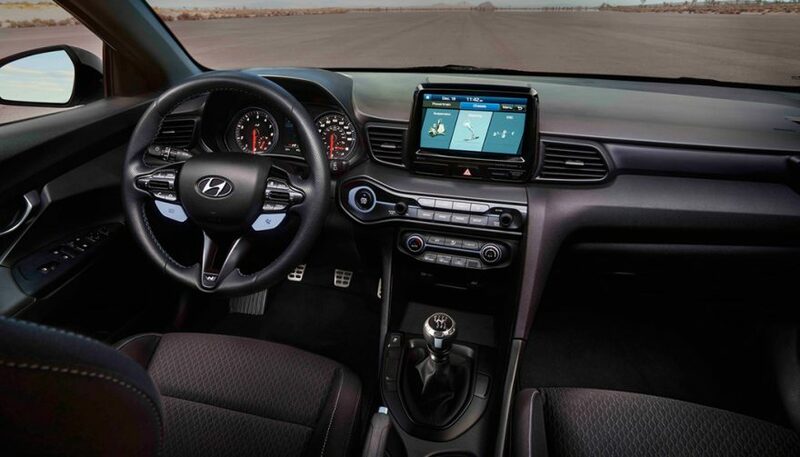 Expect the Hyundai Veloster N to arrive in the fourth-quarter of this year. 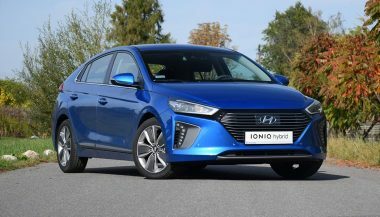 The all-new Hyundai Ioniq will be the first nameplate to offer three variations of electric powertrains – all-electric, hybrid, and plug-in hybrid.